Most of what people call batteries are actually cells. All of the common disposable alkaline batteries from AAA to D are single cells. 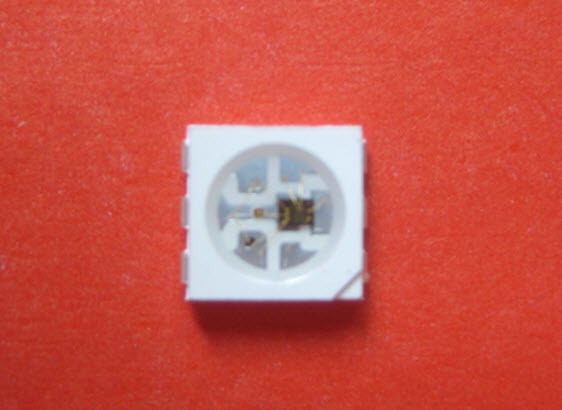 The exception is the 9v battery which actually has six smaller cells inside of it. [Tom] took a look inside three different batteries to see what cells they’re hiding. Since he no longer uses the batteries for their intended purposes the individual cells may find a new life inside of one of his upcoming projects. The six volt lantern battery on the left has four cells inside of it. This is no surprise since each zinc-carbon cell is rated for 1.5V. There’s not much that can be done with the internals since each cell is made of a carbon rod and zinc electrolyte ooze (rather than being sealed in their own packages). Moving on to the rechargeable PP3 battery in the middle he finds the 8.4V unit is made up of seven 1.2V nickel-metal hydride cells. Many of them were shot, but we’d love to see one of the intact cells powering something small like a bristlebot. The final component is an old laptop battery. Inside are an octet of Lithium Ion cells. The majority register 0V, but a few have 0.4V left on them. This is not surprising. We’ve seen power tool packs that have a few bad cells spoil the battery. It’s possible to resurrect a battery by combining good cells from two or more dead units. Adding some lights to your everyday items will certainly give you a style leaning toward the world of Blade Runner. But if you can add functionality to control the blinky components you’ve actually got something. A great example of this is [Kathryn McElroy’s] Chameleon Bag. It’s a shoulder bag with a light-up flap. It can color match your clothing, but she also built some features that will let you know what is inside of the bag. [Dino’s] kitchen skills match his hardware hacking prowess. Look really close at the image above and you’ll realize this collection of transistors and passive components is edible. Rather than decorating cookies for the holidays he built this audio amplifier from gingerbread, icing, and candy. The thing is, [Dino] almost always has that extra touch to his presentations. If you watch the video after the break you’ll notice that the sound is not the crystal clear quality we’re used to hearing in his video. That’s because he used the hardware from which the edible offering was modeled to do the audio for the presentation clip. After laying out the design using Express PCB he gets down to business. The base, which is gingerbread, looks just like a square of Radio Shack protoboard. To make the diodes he rolled up some tin foil around a screw driver to use as a mold for sugar and water which had been boiled long enough to give a dark color. A similar technique was used to cast the other parts. Everything was tied together using frosting and pieces of red and black licorice. [Cunning_Fellow] published a post with three proof-of-concept approaches to driving a WS2811 LED pixel. We looked at a project early in December that used an AVR microcontroller to drive the RGB package. [Cunning_Fellow] saw this, and even though he doesn’t have any of these parts on hand he still spent the time hammering out ways to overcome the timing issues involved with address the device. His motto is “put up or shut up” when it comes to criticizing projects featured on Hackaday. We love seeing someone pick up an idea and run with it. The approach in all three cases aims to conserve clock cycles when timing the communications. This leaves the developer as many cycles as possible to perform other tasks than simply telling the lights what to do. One approach is an assembly routine that is just a shade slower but groups all 14 free cycles into one block. The next looks at using external 7400 series hardware. The final technique is good old-fashioned bit banging. The work which [Mark] did to mount this iPad mini in the dashboard of his Ford truck is commendable. It looks like it came from the factory this way, and the functionality matches that illusion. He actually started the project before he had the iPad mini on hand. A PDF that mapped out the exact dimensions was used as a template for the layout and alteration. He took the stereo controls out of the original faceplate. That opening was made to fit the screen by cutting, adding putty, then sanding and finishing. Since the bezel won’t let [Mark] get at any of the buttons on the iPad itself he picked up an external home button on eBay and mounted it just to the left of the screen. Inside the dashboard a docking connector is responsible for powering the tablet and connecting it to the sound system. There’s even a WiFi connection thanks to the MiFi system he mounted in the overhead console. [Hailrazer] over on the Made by Bacteria forums was a bit tired of all his consoles cluttering up the space underneath his TV. No worries, though, because it’s actually fairly easy to combine a Gamecube and an N64 into one system that looks very professional. While [Hailrazer]’s Gamecube was left reasonably complete, not including the addition of a mod chip and SD card to hold Gamecube disk images, the N64 portion of the build required quite a bit of hardware hacking. After finding a Game Boy Advance player for a Gamecube – a neat hardware add-on that allows you to play GBA games on a Game Cube – [Hailrazer] thought he found the perfect enclosure for an N64 case mod. The guts of the GBA player were thrown out and the guts of an N64 were carefully filed down to fit inside their new home. An Everdrive 64 holds almost every US N64 release on an SD card, making access to the cartridge port unnecessary. A switch on the side of the Gamecube toggles the video and audio output between the Gamecube and N64. It’s a neat little setup, and packs two consoles into the space of the tiny Gamecube.